A Bohemian MOSER Deep Amethyst/Black Enamelled Dish. 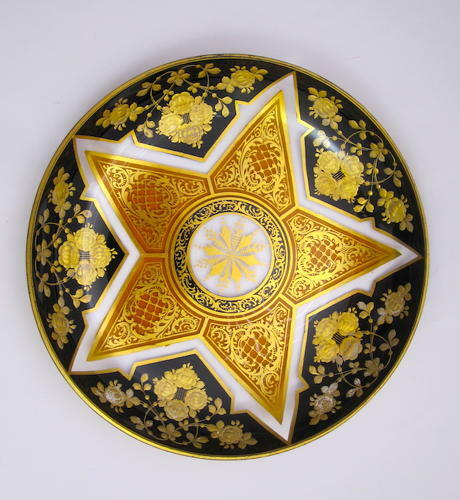 The Central Motif is a Gold Star with Gold Scroll Work Decoration. The Star is Surrounded by Floral Panals on a Black Background.